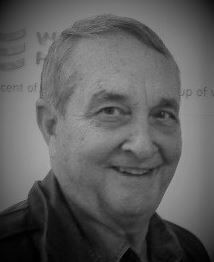 Newton – Rodney “Rod” D. Nicholson, 74, of Newton, passed away peacefully in his home on Saturday, September 1, 2018, from battling brain cancer. He was born on April 2, 1944, in Wichita, KS to the late William “Bill” and Marie (Roof) Nicholson. Rod was a proud graduate of Maize High School. He then went on to Kansas State University where he achieved a degree in the field of Electrical Engineering and was a member of the Sigma Alpha Epsilon Fraternity. Upon graduation, Rod began his career with Kansas Gas and Electric in Wichita which eventually brought him and his family to Newton. In 1981, he began working at Prestressed Concrete, Inc., where he ultimately became President. He retired from Prestressed in 2017. Rod was an avid outdoorsman where he loved to hunt and fish, but most of all he enjoyed spending time with family and friends. Those of us who were blessed to know Rod will remember him for his generosity and sense of humor where he always had a joke to tell or a story to spin. Rod was a true Kansas State Wildcat, he enjoyed spending time at the KSU football games cheering on the Cats, with his fellow Golden Cat members as he played during his college years from 1962-1966. Rod is survived by his wife Margry Anne Nicholson, daughters Staci (Scott) Kring; Sara (Patrick) Kraus; and son Marc (Ranee) Nicholson; Stepsons Brian (Amber Jo Wilson ) Webb, Ben (Amy) Webb; Stepdaughters Blair (Erik) Putroff; Grandchildren Skyler and Spencer Kring, Chloe, Emerson, and Harrison Kraus, Jacob, Joshua and Joseph Nicholson, Rochelle Webb, Ava and Landon Webb Kara Klenda, Michael and Lucas Putroff; Great Grandchildren Bradley Klenda; Cindy Nicholson, the mother of his children; sister Marge Thompson, sister-in-law Rena Woodard, as well as many cousins, nieces, and nephews. He was preceded in death by his parents, Bill and Marie Nicholson; brother, William Nicholson; and brother-in-law Dale Thompson. Rod will be missed, we go back a long time in friendship and sports. My prayer’s for his family and friends in this time of of greving. God’s grace and love be with you. To Rod’s family; As a structural engineer, Newtonian and a wildcat supporter, I had the opportunity to visit with Rod many times over the years. It was always informative and interesting. My Condolences. I have many special memories to cherish of time spent with Rod and Anne. Rod was an excellent chef, gracious host, storyteller, dedicated K-State alumni fan, and a man who stood up for what we believed in. Rod was a great guy who will be missed by so many My. sincere sympathy and love to Anne and all family members. Sending our love & warm thoughts as we remember and celebrate Rod’s life. My favorite memories take me back to the pig roasts at Jim & Elizabeth Reber’s. Rod was always such fun, and he delighted my Mom with his antics. Hugs to Anne and all who are walking in sadness. Our love and warm thoughts are with Rod’s family, friends, and colleagues as we reflect and celebrate his life. My favorite memories go back to the annual pig roasts at Jim & Elizabeth Reber’s. Rod was always fun, and he delighted my Mom with his ornery antics. Peace, Rod. We have the greatest memories of Rod. Our thoughts are with his great kids. We were honored to be their Housesitter twice. Steve was honored to work for Rod at KG&E. Steve and Rod shared the bond brotherhood as SAE’s. Peace be with all of you. Tom and I are thinking of all of you in this time of sorrow. Rod was an important part of the Newton community and made a major contribution by being involved. He will be missed by many. My first experience with Rod was probably from Druber’s Donuts shop! His friendly, outgoing personality was a joy to see everyday. I also remember waiting for Rod to come out of the racquetball room, where he’s been playing handball, for my turn at the court.! He lived life to the fullest! Sincere sympathy. Just heard about Rod. Lots of memories, from being brothers in SAE at K-State to crazy duck hunting adventures and dinner club gatherings with our wives and others. Rod was one of the good ones. Saddened to hear of the death of Rod Nicholson, a good friend, a brother in the bonds and (like his namesake, Nimrod of old) a great outdoorsman. We will miss him at K-State games and all things SAE, but we are confident he will have things in order for the rest of us when we enter the Chapter Eternal. Rest In Peace, Rod, you and your family are in my prayers.